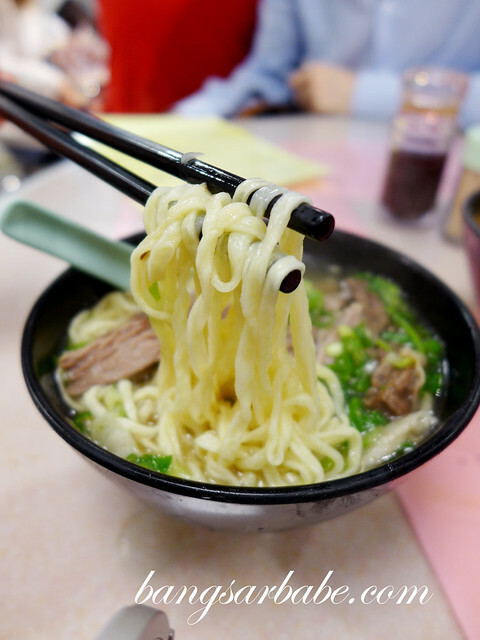 Beef brisket noodle at Kau Kee Restaurant is one of the recommended things to eat when one visits Hong Kong. Like all the other popular food haunts in Hong Kong, Kau Kee gets super packed during peak hours. The menu is simple – there is now an English version for tourists and bananas like myself. 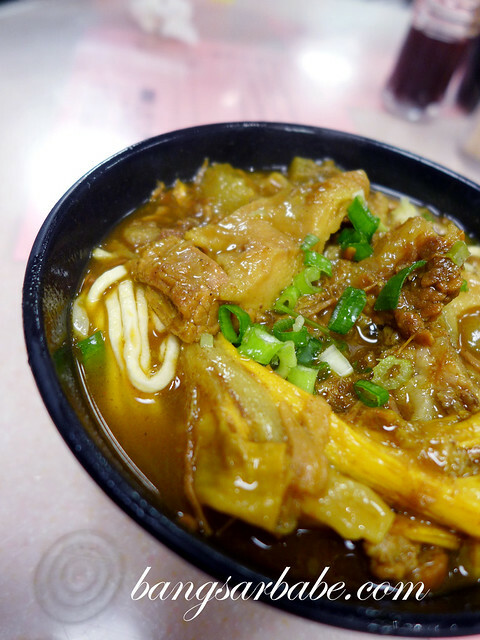 Kau Kee specializes in beef brisket and beef tendon, and their two most ordered items are beef brisket noodles in broth (HKD36) and curry beef tendon noodles (HKD38). Since there were three of us, we had a bowl of beef brisket noodles with broth each and shared a bowl of curry beef tendon noodles. Kau Kee offers a few choices of noodles to go with the beef – hor fun, vermicelli and ee fu. I opted for the ee fu noodles. Both the original and curry version were delicious. The brisket was meltingly tender and well seasoned with Chinese spices. It gave the herbal broth an added oomph. The noodles were cooked just right and simply, lip-smacking good. The curry beef tendon noodles tasted as delicious as it looked; this was comfort in a bowl. One bite and I was sold. The ee fu noodles soaked up the rich and spicy curry gravy well, while the gelatinous bits of the tendon melted in my mouth. Mighty fine bowl of noodles! 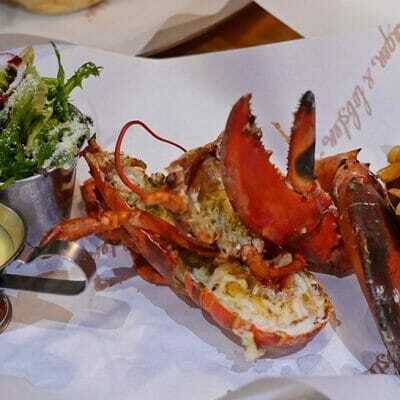 I would have ordered another bowl for myself but eating more than one bowl already raised a few eyebrows that night. I regretted being less greedy. Verdict: Some serious beef brisket and tendon noodles. Argh this was one of the places we unfortunately had to miss when we visited HK a few years back! The tendon looks excellent, and the curry one looks really appealing as well. Try Uncle Cheng Special beef noodle at SS2/4A in Petaling Jaya opposite PJ Lorenzo.